Performance: Anyone can refill a toner cartridge, but Laser Re-Nu doesn't stop there. We completely disassemble, inspect and re-manufacture your cartridge, replacing all worn parts. We use a new, high-performance OPC Drum and Anakenesis coating process, along with toner types matched specifically to the drum. That's why our Super Cartridge(tm) outperforms even new toner cartridges, and how we can offer one of the strongest warranties in the industry. Quality: The quality of our Super Cartridge(tm) is no accident. It's the result of a rigorous quality control program, which covers every stage of the re-manufacturing process. Laser Re-Nu extensively pre- and post-tests each cartridge, and limits the reuse of critical subassemblies. In addition, we go the extra step of independent laboratory testing to ensure that our cartridges consistently perform to the highest standards. In fact, the failure rate of our Super Cartridge(tm) is lower than the accepted standard of most new OEM cartridges. Service and Support: Of course, product quality and performance mean nothing without top-notch service and support. Our same-day cartridge pickup and exchange gets you back up and running in no time. 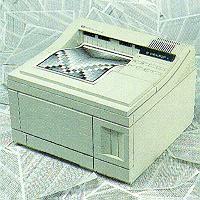 Our certified technicians also provide complete on-site laser printer maintenance, service and repairs. In addition, we offer a guaranteed two-hour emergency response for critical situations, plus thorough customer training and technical support. The responsible solution: Recycling your used toner cartridges is much more than just a cost-effective business decision. It's an environmentally sound one. We all know about our over-crowded landfills, and when you consider that each cartridge sold contains about three pounds of metal and plastic, it only makes sense that they be reused again and again.